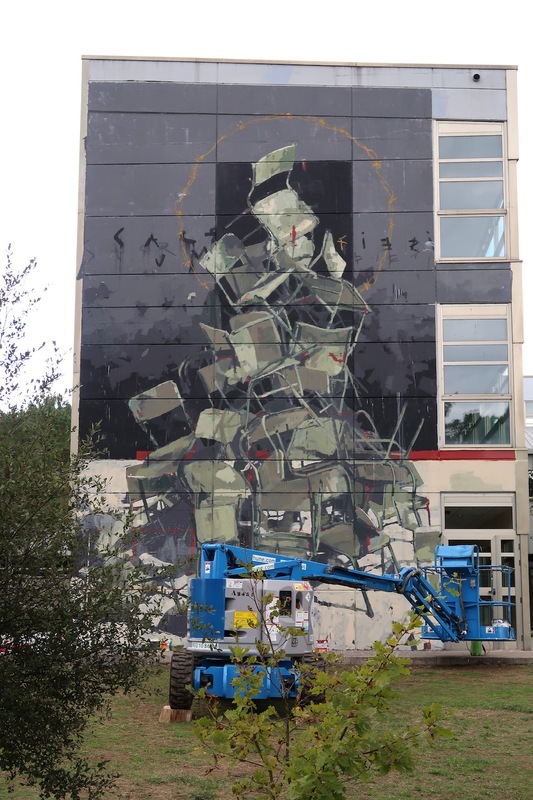 Mural intervention made in acrylic on wall realized in the high school ‘IES Maruxa Mallo’ of Ordes. 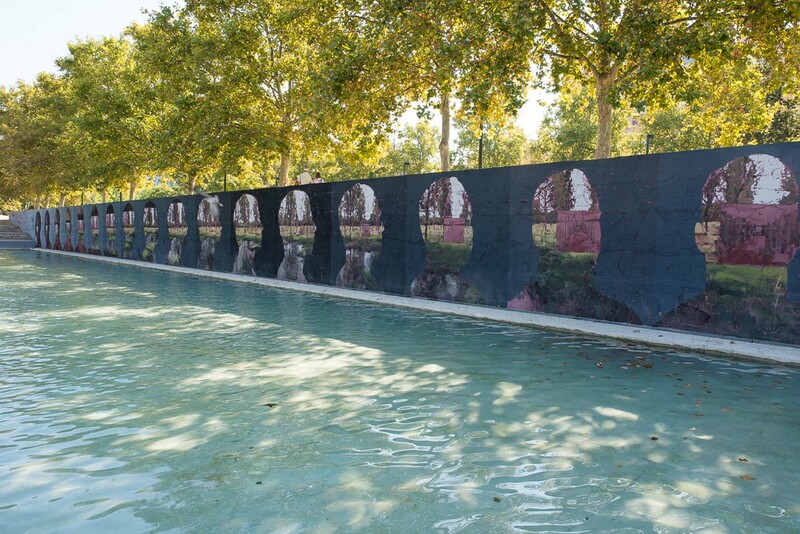 Mural intervention made in acrylic on wall realized in the Delicias Park of Zaragoza. The park used to be property of the mental hospital while today is open to the public even if the institution continues to operate so the patients still used to hang out in the park. 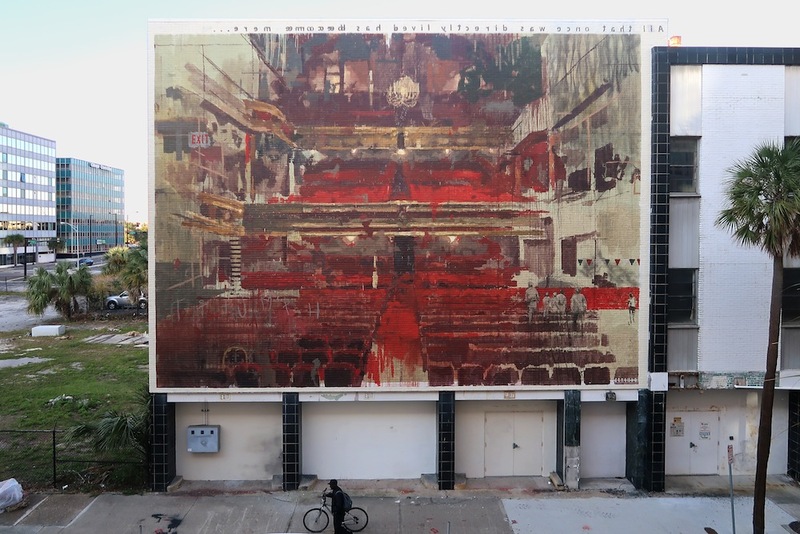 Click here to see the GIF (realized by A.L.Crego) created with each frame painted on the wall.